INDUSTRY.co.id - Jakarta, Mitsubishi Motors Corp. (MMC) announced plans to increase annual production capacity from the Xpander multi-purpose vehicle (MPV) model production facility in Indonesia. Mitsubishi Motors (MMC) Chief Executive Osamu Masuko said the development was carried out with an investment of around four billion yen or Rp. 540 billion. "We are investing with a total of Rp 540 billion to increase the factory's production capacity from the current 160 thousand units to 220 thousand units in fiscal 2020, and to open up to 800 jobs in Bekasi, West Java, bringing the total to 4100 workers," Masuko said. in Jakarta (3/10/2018). Osamu added, with this capacity increase it could increase export volume from 30,000 units to 50,000 units to meet foreign markets, including countries in the ASEAN region. Currently the production capacity of the factory of PT Mitsubushi Motors Krama Yudha Indonesia (MMKI) in Cikarang reaches 160,000 units. Its capacity will increase to 220,000 units in total in fiscal 2020. Of the 220,000 units, the Xpander model contributes 160,000 units of production. From here, as many as 110,000 units for the domestic market and 50,000 units for the export market. 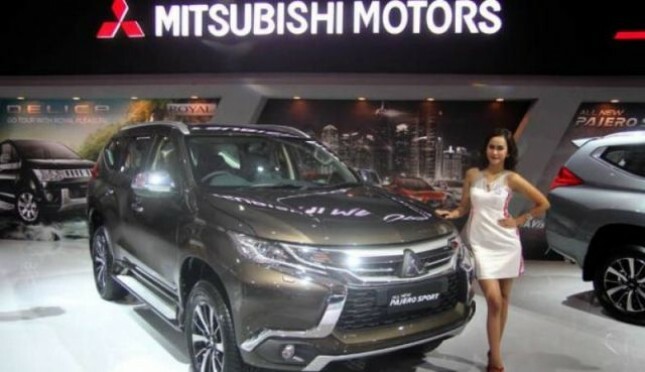 Osamu revealed, the addition of investment in Indonesia as well as to boost Mitsubishi Motors Corporation's production hub to increase exports to the rest of the world, besides Japan and Thailand. "Currently, Xpander's production in Indonesia has been exported to Vietnam, the Philippines, Thailand, Bolivia and will continue to other countries," he added. Previously in meeting export demand and expansion, Mitsubishi Motors Krama Yudha Indonesia (MMKI) has planned to continue increasing Xpander's production capacity with a target of 150 thousand units in fiscal year 2019. Initially Xpander planned to produce 100 thousand units in fiscal year 2018. Xpander has booked 100 thousand booking numbers in Indonesia since its introduction in August 2017 until the end of September 2018. In March and July this year, Xpander was ranked first on the list of vehicle sales volumes in Indonesia. Xpander engines will be produced by Nissan Motor Indonesia (NMI), a subsidiary of Nissan Motor Co. in Indonesia. This will increase the ratio of Xpander's local material usage from 70 percent to 80 percent. development at the NMI facility will be able to produce 160 thousand units of machinery per year. Osamu also hopes that the change in the rupiah exchange rate against the US dollar will not have a long impact on the sale of automotive products in the country, especially after most Xpander components have been produced in Indonesia. Meanwhile, Industry Minister Airlangga Hartarto said the meeting related to Mitsubishi's plan to make additional investments in Indonesia showed that amid the unfavorable economy, MMC was committed to additional investments to increase capacity, increase labor and increase exports. "One answer to dependence on exports is to deepen its industrial structure. Here, Mitsubishi is committed to setting up an engine factory for Xpander Indonesia, so local content is enhanced," he said. Airlangga also added that the country's foreign exchange potential from an increase in production capacity is around 600 million US dollars and the production of machines is 750 billion rupiah per year.